There are presently no advertised vacancies at this time. However, if you feel you could add value to our team, please feel free to send your resume to us at info@stylehousefiles.com. New York, London, Milan and Paris may still be the world’s fashion capitals but as with anything style related, trends emerge and things change. Furthermore, people and critically, businesses are following the shift in the air: Announcing Lagos, Johannesburg, Dakar and Nairobi; the juggernauts of the African continent and rising stars for the industry in the world. Speaking to Omoyemi Akerele, CEO of SHF and founder of LFDW it becomes clear that creating both a platform and setting an agenda that posits African fashion as every bit as desirable has not been an easy task: “Africa is diverse and dynamic in terms of culture, historical references and commercial viability but the fashion and apparel sector within Africa is still often met with a degree of uncertainty and fascination.” Her comments are supported by the fact that the role LFDW plays is multifaceted: offering buyers an opportunity to see and purchase clothing, providing a platform for the wealth of talent in the industry, and capacity building in terms of education and regional government policy. Furthermore, Akerele and her team have taken a strategic and holistic approach and identified vital channels for fashion designers on the continent to be seen and more importantly bought internationally. One such successful relationship has been SHF’s showcases at Pitti Immagine, one of the most prestigious international fashion platforms and the British Fashion Council’s Fashion Scout shows held during London Fashion Week. 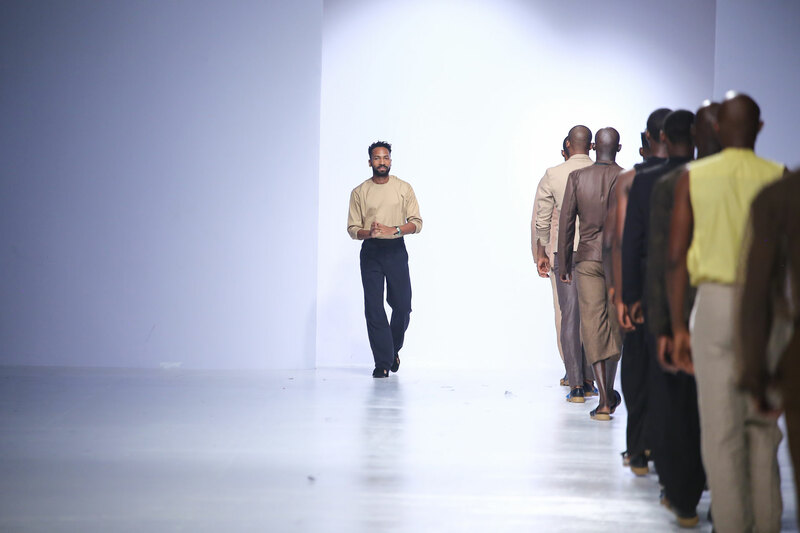 These events allowed for instantly recognisable names on the Nigerian fashion landscape such as Lisa Folawiyo, Grey Projects and Gozel Green to gain further visibility and international sales. The power of collaboration has been one that SHF has successfully utilised to ensure greater recognition and commercial opportunities for African brands. London’s flagship store for high-fashion, Selfridges recently experienced an SHF infused take-over with the launch of critically acclaimed and cult menswear line Orange Culture’s collaboration with Afrobeat music superstar Davido in September 2017. 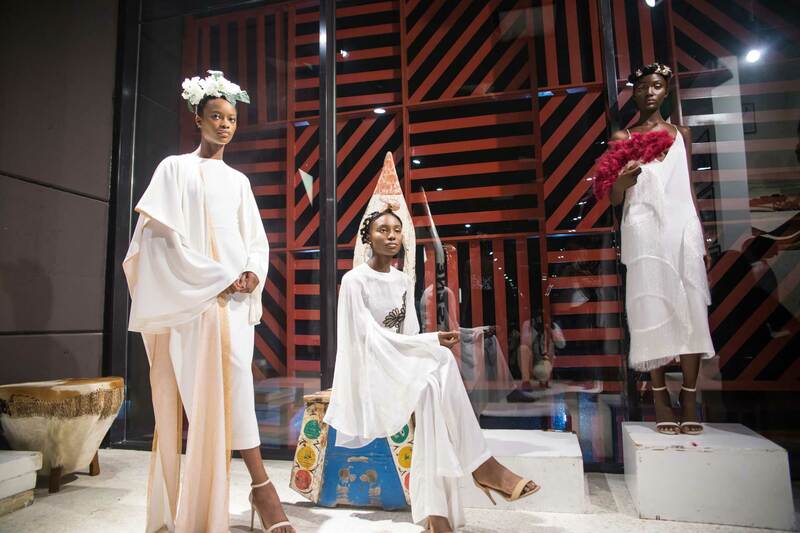 As part of Selfridges’ ‘Music Matters’ series, SHF was able to bring Nigerian fashion and music to a global audience. Beyond the glitz and the glamour of the night itself, being a viable conduit for retailers internationally as well as incubating emerging and established talent on the continent remains a key deliverable for SHF. However, of equal import are markets closer to home and Akerele is quick to point this out: “Why make the international fashion market the only target when it is far simpler to serve the home market where both designers and consumers stand a better chance of being in sync? For us, the vision is to build, to make both the international fashion market and pan African fashion market co-exist side by side. Designers must learn to straddle both markets with ease and position their brands for commercial success in Africa and beyond. “ Her analysis is of increasing import as African economies continue to grow and their young, fashion literate populations provide a willing market for the industry’s multifarious offerings. The UNDP has projected that by 2040, Africa will be home to the largest population of working adults in the world with Middle Class and High-Net Worth individuals of equal relevance to brands. Concomitantly, many international brands have recognised this reality with luxury brands such as Michael Kors an ‘early adaptor’ with his stand alone store in Cairo and an outlet in Cape Town’s fashion concept-store, Callaghan. By taking a punt on the continent, Kors has staked his territory early, and enjoys a first-mover advantage against his competitors globally. Perhaps most noteworthy when considering Africa as a fashion destination is the way in which the continent is perceived both as a reference point and potential market place. In the past, its vistas provided the backdrop for magazine editorial, and its culture was simplified and romanticised; but the gaze and its purpose are much more nuanced today. Akerele evokes the communality of vision and purpose of Africa’s fashion industry when she states: ” African fashion’s new ‘Creative Class’ do not operate on fashion’s superficial level. They are a group of like minded, passionate individuals; members of a fashion scene where the only passport to entry is passion and a commitment to see the industry succeed commercially.” This wide group is not satisfied with the occasional reference or cultural ‘shout-out’ be it Stella McCartney’s Spring/Summer ’18 or Burberry’s Spring/Summer 2012 campaign, but rather are seeking long term engagement and specifically organic growth of the industry domestically. Style House Files is a Fashion Business Development Agency that primarily focuses on the advancement of the Nigerian and African Fashion Industry. ©2019 Style House Files. All Rights Reserved.